Hello and welcome to our website! OTS offers facilities, equipment, personnel, knowledge, genetics and location to provide our customers value in the products and services purchased. The seed products and services we can offer are a key element to our customer’s profitable success. We understand the importance of timeliness of services; performance genetics suiting varieties to specific field capabilities, high mechanical and delivery quality of seed (the whole package), and working with a customer as situations may change. OTS locations at North Powder and Imbler are situated in Northeast Oregon serving the fertile Grande Ronde, Powder, Baker and Wallowa valleys surrounded by the Blue, Elkhorn and Wallowa mountains. 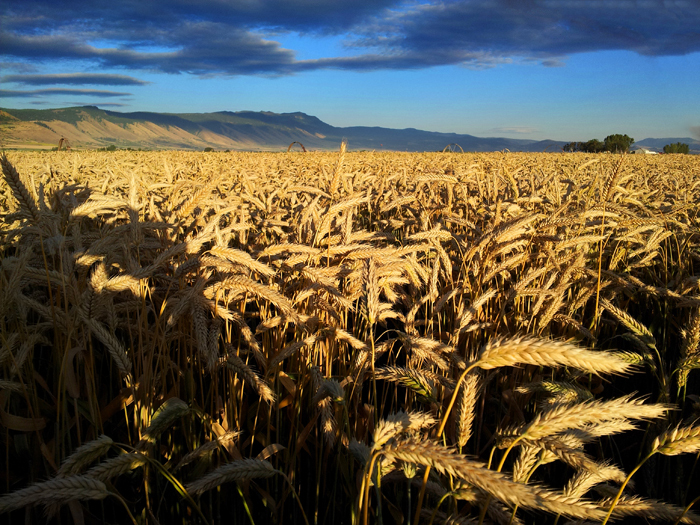 Agriculture is diverse here with ranching, and farming operations encompassing crops such as hay, wheat, barley, oats, potatoes, peppermint oil, turf grass seed, sugar beets, sunflower for seed, chickpea, peas and other specialty crops. OTS was started working out of farmer Jim Lindsey’s warehouse/shop in May of 1993 by Curt and Annette Howell. As with many very small businesses the first few years were difficult but sales grew and profits were placed back into the business. In 1994 the lot and building at 100 ‘D’ Street in North Powder was purchased. Storage facilities placed at North Powder were purchased in 1996 to distribute bulk seed. In the fall of 1996 OTS rented the building and bought the machinery at Grande Ronde Grain and Chemical located in Imbler. This gave us an operating seed plant and production capabilities. Over time we have added personnel and improved our facilities at each location. The latest addition to facilities is the construction of our new seed conditioning and storage facilities on Striker Lane at Imbler. While this is a new facility and incorporates many modern features and efficiencies we are not finished with improvements and additions to it. You are welcome to stop by any time at our operations to look them over and discuss your needs for the coming season.